Enjoy the view from the bridge located downstream from Nagara River. 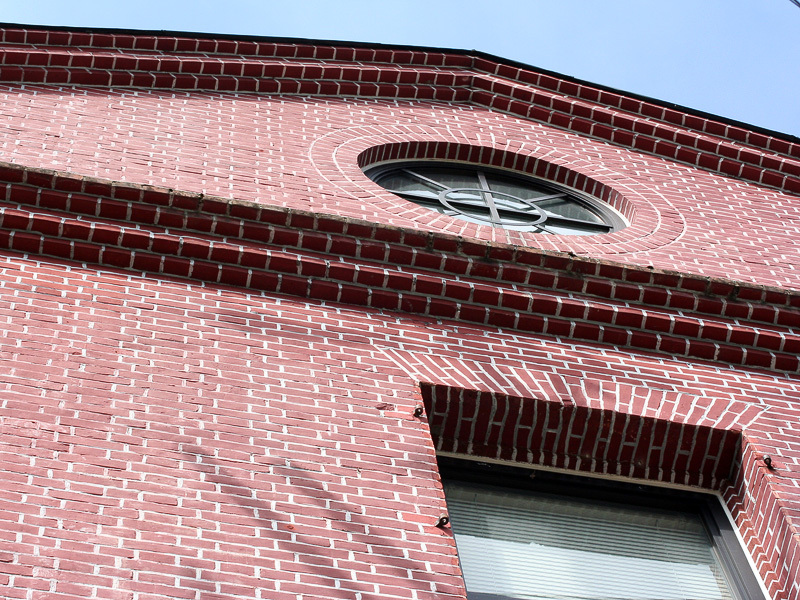 The brick building presents an impressive sight when contrasted with the four seasons of the mountain. 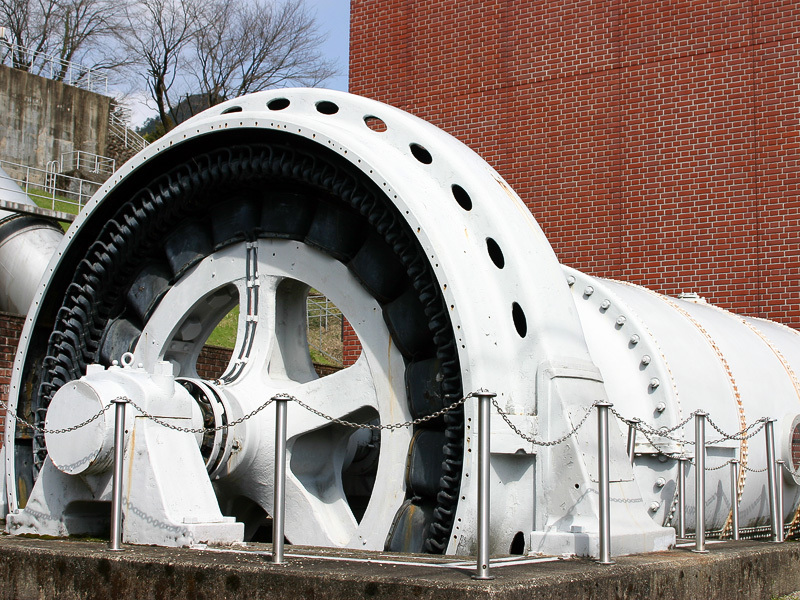 This is an old German-manufactured watermill and power generator. 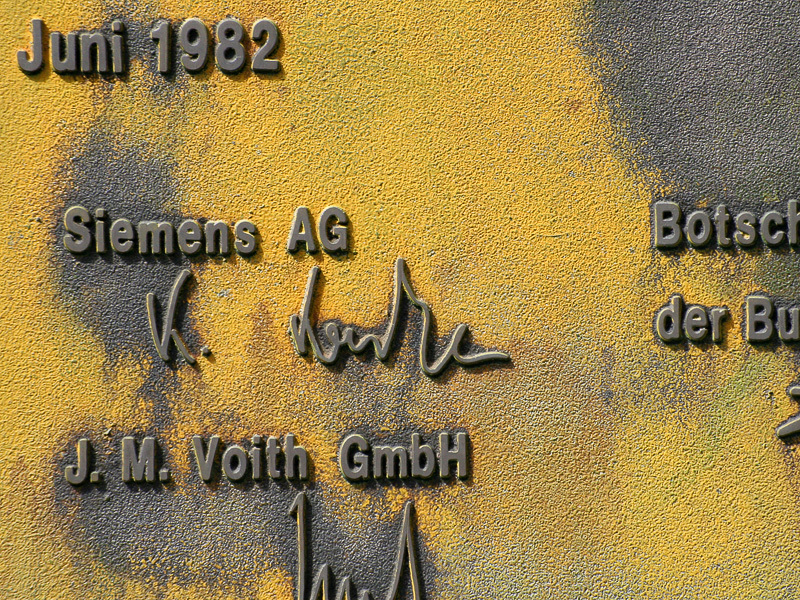 The German-language plate is the very same one from 1982. You will experience a deep feeling for the long history. 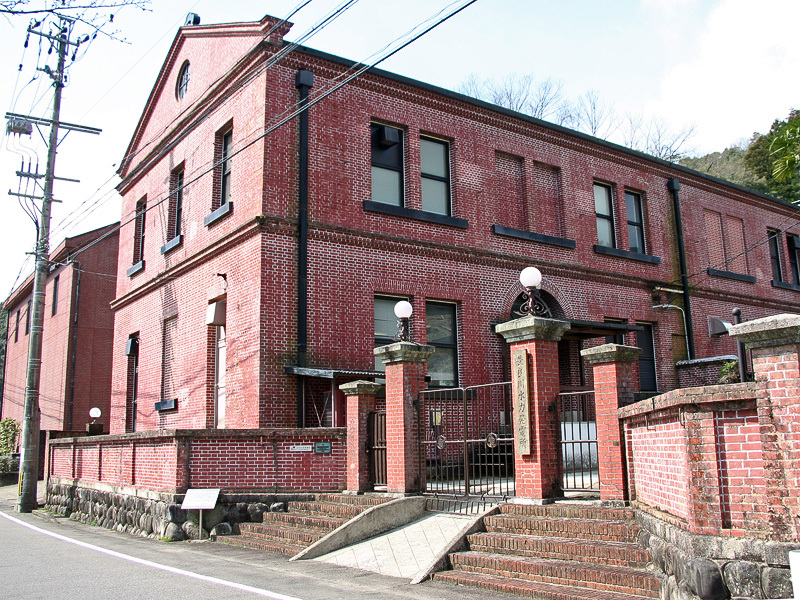 Stylish lighting windows also retain their design from the Meiji Period. 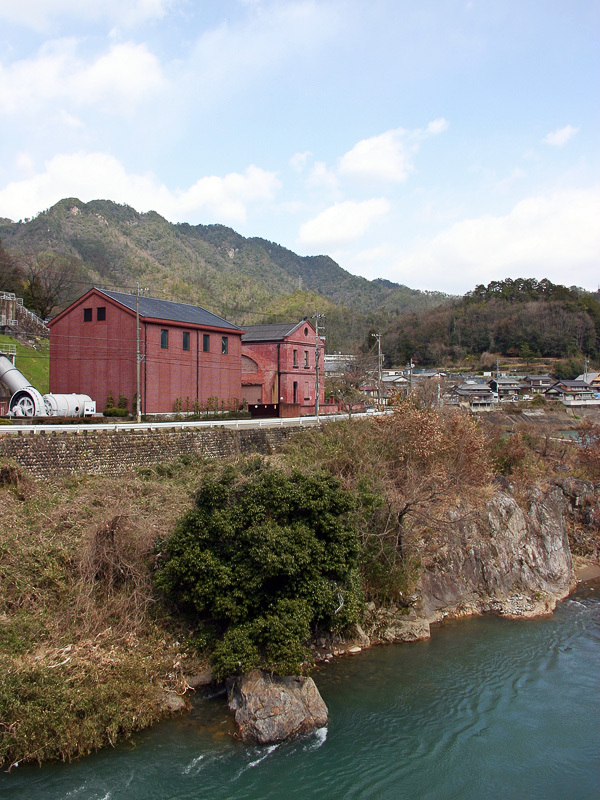 Originally built in the 43rd year of the Meiji Period by Nagoya Dento, this power station is still currently operated by Chubu Electric Power Co., Inc. The red-brick structure symbolizes Meiji Modernist design and suggests older German-manufactured watermills and power stations. 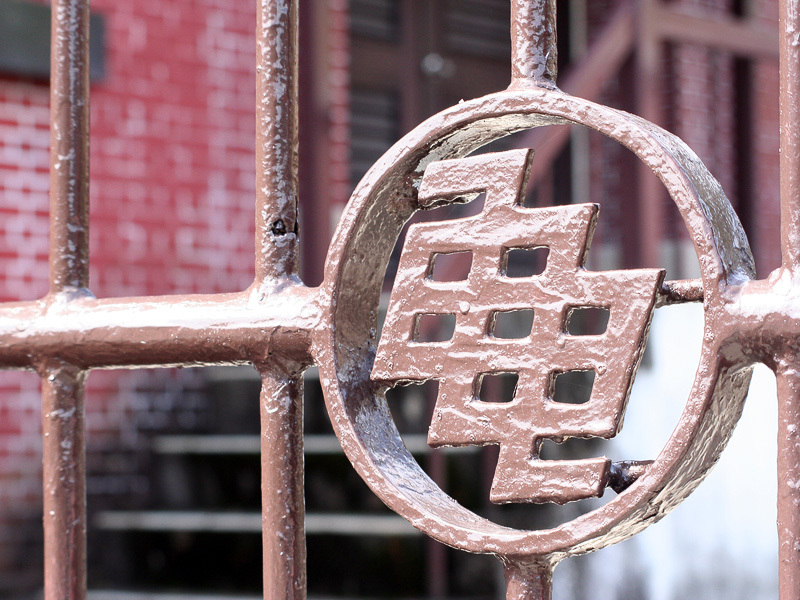 The power station is a precious part of our industrial heritage and is a national tangible cultural property.